Reflecting on her research among women atheists Janet Eccles highlights how encounters with religion in everyday life can shape experiences of lived nonreligiosity. To date little research has been focused on women atheists. Mahlamäki (2012) has argued that in many different contexts around the world, women have always been more religious than men and that men are more nonreligious and atheistic than women. This concerns every dimension of religion, be it belief, practice or belonging. Women are members of both traditional religious communities and new religious movements more often than men, although men have proved to be more resolute, apparently, than women as to religious beliefs. There are female atheists but their voices seem to have been heard rather less than men’s. In the conclusion to her article Mahlamäki makes the telling point that it is the everyday forms of nonreligiousness and lived nonreligiousness which are missing from public discussion. What do these look like? Obviously there are ‘everyday forms’ for both male and female atheists, but as so little research has been conducted on women, this seems a good place to start. Additionally, as Mahlamäki raises the issue of how children of nonreligious families experience the presence of (Christian) religion (festivals, prayers, hymns) in kindergarten or at school and, given that women still seem to be the main socialisers of their children into the family’s belief systems, it is likely that by studying women we will find some possible answers to these questions. I am currently engaged in researching the lives of women in the UK, who either identify as atheist or indifferent to religion. This research is on-going but so far I have spoken to 12 participants who all live in northwest England, an area which is often identified as being more ‘Christian’ than most in the UK (Davis et al., 2008, Gill, 2003, McLeod, 2007). My research asks how do they deal with religion when they encounter it and when and where do they encounter it. Here, I focus on one family but their case is similar to others I have heard. Zoe and her husband are a young couple in their thirties, with two small daughters, the older of whom started full time primary school recently. Zoe is educated to degree level and was brought up in what she described as a nonreligious home. Zoe’s mother, whom I have also interviewed, self-identifies as atheist/humanist and is a member of a Humanist group. Zoe’s husband is a former Mormon but also now identifies as atheist, and is currently studying for a degree as part of his paid work. The couple bought their small semi-detached house on marriage unaware at the time, it seems, that the nearest school was a Christian-faith school. When their daughter, Annabel, was born, Zoe realised this could present problems, and she entered into a protracted battle with the local authority for her daughter to be admitted to a non-faith school further away; a battle which she lost. Consequently, Annabel now attends the local faith school and this has caused some problems for the family. There are other cases, where this has happened to other participants, but in some instances it has not presented a problem, in others it has. In fact, Zoe was destined for a faith school herself, largely, her mother said, because at the time ‘it provided the best education’ which I understood to mean in terms of discipline and the general competences of the staff. In the event there was a change of headship and, as a result, the reputation of the non-faith school improved and so Zoe’s mother then saw this as the preferred option for her daughter. However, the school attended by Annabel is quite avowedly evangelical. It holds a weekly hour-long assembly conducted by the local vicar, and shorter assemblies by the head teacher on the other four days. Although only four, Annabel appears to have absorbed a strong religious ‘message’ through these assemblies, according to her mother, often repeating at home what she has heard: ‘Our god is a Christian God’, ‘God made the Earth’, ‘God lives in the sky’ and that her soul is in her bladder/stomach. The battle with the local authority and the subsequent outcomes have caused considerable distress to Zoe, who has been treated for clinical depression as a result. She has finally secured permission for Annabel to be excused from the vicar’s proselytising assembly, as she sees it, and takes her into school an hour later. Zoe showed me a letter to the headteacher in which she explained her concerns, reflecting both the scientific rationalist and humanistic worldview that she wishes to inculcate in her daughter. She asserts that Annabel’s beliefs should be based ‘on evidence, judgment and critical thinking’, and recognises that as such intellectual resources are not readily available to a four year old, school should be a place ‘for learning about facts using logic and reason’. Zoe and her husband intend to bring their daughter up to take responsibility for her own life and do not want her to believe that someone, or something, else has control over it. Morality, as they see it, is predicated on the golden rule and the dominance of a male god in the Christian faith, and all that that represents in terms of inequalities, is unacceptable to them. Many young people will be of a similar view to Zoe according to a YouGov poll, commissioned by Linda Woodhead, but it seems that not everyone may be entirely free to pass on this worldview to their children. Unless they are prepared to live in an area which offers choice of schooling, something that my participants find is harder to do than might be supposed in our arguably secular(ising) society, they may find, like Zoe, that they have no option but to enrol their children in a faith school. But, for parents like Zoe and her husband, this may well cause conflict between the values and sources of moral authority of the home and those of the school. Indeed, where I live in a semi-rural area of the southern Lake District all six primary schools are faith schools, as is the nearest secondary. As far as I can tell, anecdotally, most parents are happy with this arrangement but then the religious teaching at these schools seems more inclined to acknowledge diversity and difference and I have heard of nothing like the hour long ‘proselytising assemblies’ described by Zoe. The kind of ‘choices’ some of us take for granted in our consumer society may not be quite as available as we might like to think. Davis, F., Paulhus, E. & Bradstock, A. 2008. Moral, But no Compass: Government, Church and the Future of Welfare. Cambridge: Von Hügel Institute. Mahlamäki, T., 2012. Religion and Atheism from a Gender Perspective. Approaching Religion. 2, 58–65. Gill, R. 2003. The ‘Empty’ Church Revisited, Aldershot, Ashgate. McLeod, H. 2007. The Religious Crisis of the 1960s, Oxford and New York, Oxford University Press. 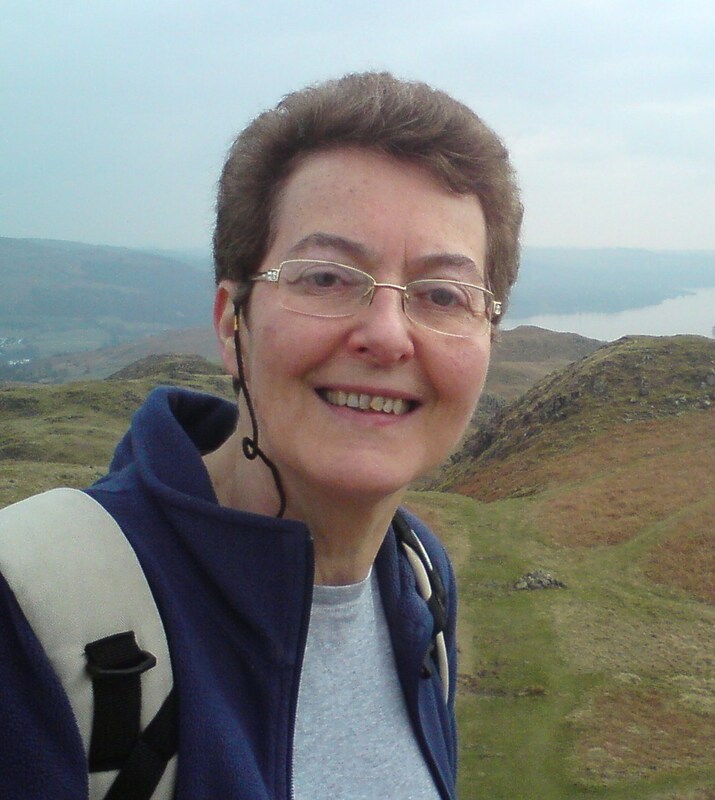 Janet Eccles completed her doctoral thesis in 2010 at Lancaster University on older women’s religious/nonreligious and value commitments in an area of northwest England. She then became research associate on the Young Atheists project at Lancaster, which investigated young people who self-identify as atheist. Since then she has become an independent scholar with interests in a wide range of sacred/secular/nonreligious issues, particularly as applied to women, including those of social class and, more recently, hospital chaplaincy. She has published on various of these themes and is currently undertaking a project on older women who have been brought up in non-religious families. Janet is also a member of the Nonreligion and Secularity blog team. This entry was posted in NSRN Blog, Reflections from the field, Research Questions and tagged Atheism, Janet Eccles, lived nonreligion, Research, women. Bookmark the permalink.